Hundreds of thousands of containers are lifted every day. Lifting a container is however not without risks. For a number reasons (limited lifting height, limited crane capacity, ...) it is often asked if a spreader is really necessary to lift a container. The answer is – in most cases – yes. 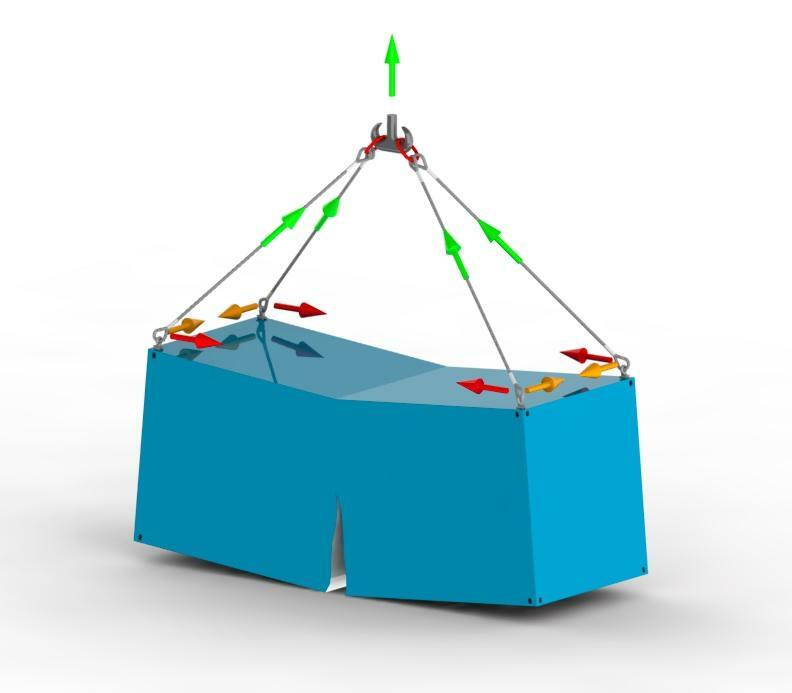 A typical 4-legged sling, attached to the four top corners of a container induces compression loads in the roof plane of the container, especially lengthwise. Containers are not designed to take this compression load at the roof plane in a lengthwise direction. The actual strength of the roof varies from container to container, depending on the manufacturer, age, size ... Therefore it is possible that several lifts are made with only a 4-legged sling, and that no particular problem is noticed. The operator is lured into believing that this is a safe way of handling the containers. However, due to this practice, unseen damage is done to the container and every lift can lead to the instant breaking of the container. When using a spreader like the MK-20 or MK-40, the compression load is no longer induced on the roof of the container, but directly on the spreader (which is designed for this load). The top frame of the container is thus free of compression loads. 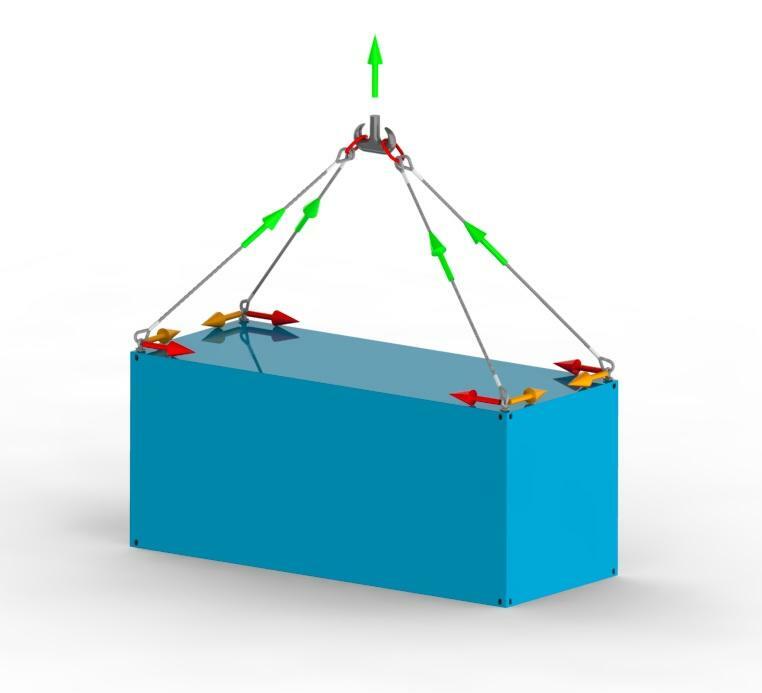 The container is now lifted vertically, which is the only configuration for top lifting, allowed by the international standard (ISO 1496). The use of a (semi-automatic) spreader also has several other advantages, such as quicker handling of the containers and less operators required. What to do if no spreader is available? 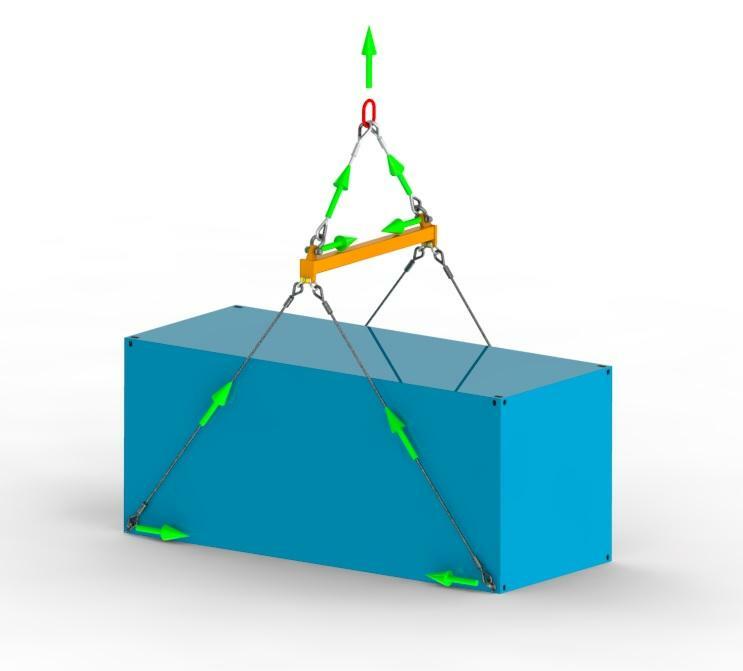 There is still a possibillity to lift a container without a spreader, using bottom lifting parts such as MK-5L & MK-5R. These parts fit the side holes of the bottom corners of the container. In this case, the compression load in a lengthwise direction is taken by the floor frame of the container, which is a lot stronger than the roof plane. The transverse compression load is absorbed by the crossbar. 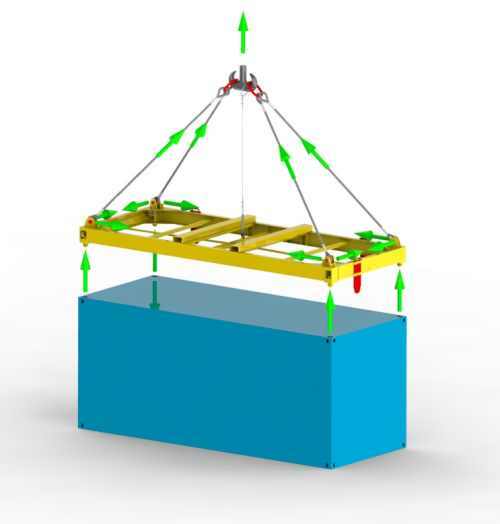 This method of lifting is also mentioned in the ISO 1496 standard. Another advantage of this system is that the required lifting height is in most cases less than when using a spreader.